Town Centre Private Schools’ Pre-School Montessori, Elementary and High School programs are offered at 3 campuses which are conveniently located within a 3 minute drive of each other on the border of Toronto and Markham in York Region. 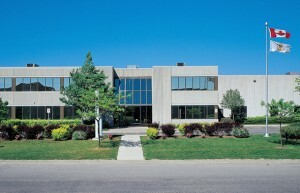 Located just west of the Kennedy Road and Denison Street intersection at 76 Amarillo Avenue in Markham. This beautiful 33,000 square foot facility is custom designed for Pre-School and Grade 1 classes. Avenue), our Main Campus is for students enrolled in grade 2 to grade 12.
student a multitude of educational opportunities. All campuses are equipped with surveillance cameras. Students are escorted by their teachers between classes and are supervised by their teachers during their outdoor activity time. Students remain in their classrooms during the before and after school programs. Parents pick students up directly from the classroom. Students will only be released to those individuals specified by the parent as being authorized to do so.